You Are Listening To "DONNA"
Home of Penn State University. 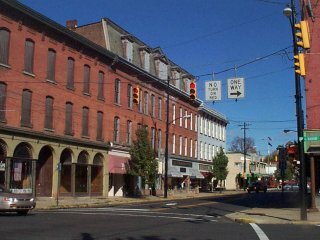 State College is a small city of just under 40,000 citizens. 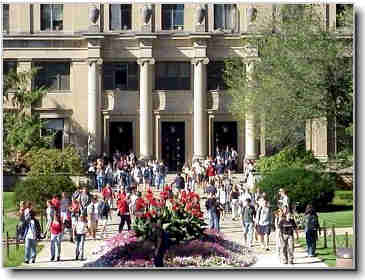 This is the Liberal Arts Building, and it looks like they're just changing classes. We'd better get out of their way. 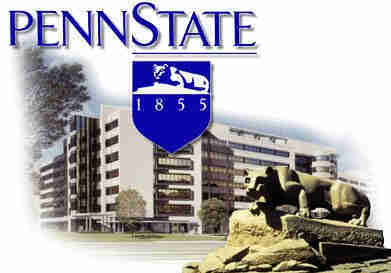 We must not forget Penn State is home to the Nittany Lions. We've arrived in the beautiful Appalachian Mountains of Pennsylvania. 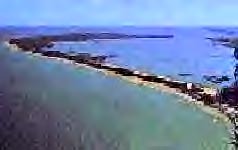 This is wilderness area with much wildlife. 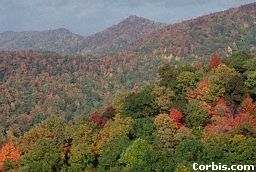 Every year, you think Autumn cannot be any prettier than it is, and, every year, Mother Nature comes back and tops herself. 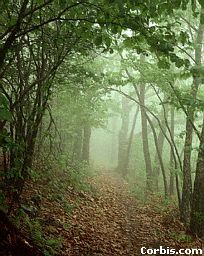 The Appalachian National Scenic Trail is a 2,158 mile footpath which runs along the ridge crests and across valleys from Katahdin, Maine to Springer Mountain, Georgia. 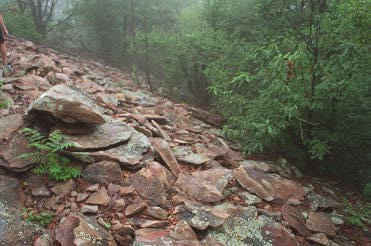 We'd have to watch our step carefully along this part of the trail through Pennsylvania. American Indians used the slick film on Oil Creek to mix their war paints. Enterprising settlers bottled it and sold it as a medicinal concoction called Seneca Oil. 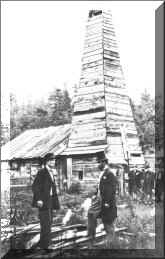 Not until 1859 when Col. Edwin Drake drilled a well did oil begin to revolutionize industry and spur progress around the world. 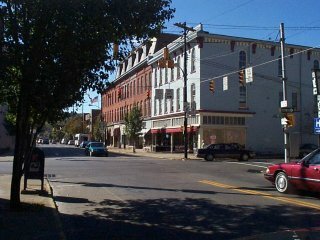 This is downtown Titusville, the area where the first oil well was drilled. Pennsylvania was the world's number one oil producer until 1891 when production peaked and the oil industry began striking richer fields in the west. 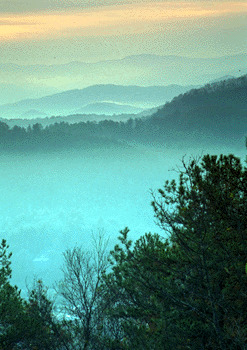 We're going on a fairly long drive now, so sit back and relax and enjoy the scenery along the way. We've arrived in Erie, Pennsylvania. 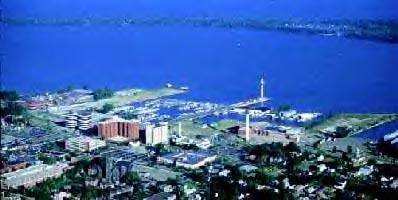 Erie is a city of approximately 295,000 people. Presque Isle juts out seven miles into Lake Erie forming an excellent harbor. 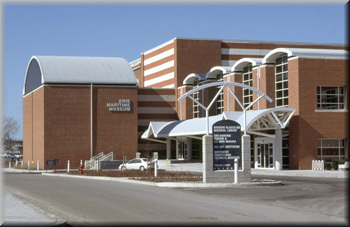 This is the Erie Historical Museum and Planetarium. The mansion, circa 1890, is complete with period furniture, breathtaking woodwork and gleaming stained-glass windows. After three years of painstaking restoration, the U.S. Brig Niagara now rides the waters of Lake Erie's Presque Isle Bay. She is the only remaining fighting ship of her class from the war of 1812. This is the Erie Maritime Museum. 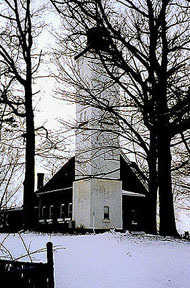 This is Presque Isle Lighthouse, built in 1872 and first lit on July 12, 1873. The brick dwelling at the base is currently used as a park residence. The light is still maintained by the United States Coast Guard. That's it for Erie. Wasn't it a nice visit? We're off to the south for our last stop in Pennsylvania. Not any longer. 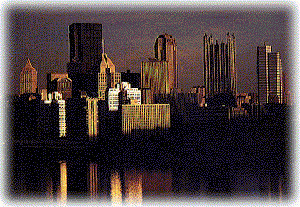 The steel mills are long gone. Some people headed for Pittsburgh for the first time, will probably conjure up visions of grime that once covered buildings. That's no longer true. It is now a very pleasant place to visit with striking downtown architecture. 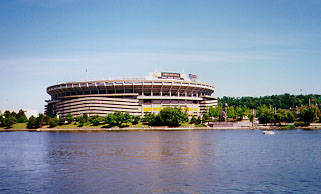 Across this bridge, you can see the Alcoa Corporate Headquarters Building. 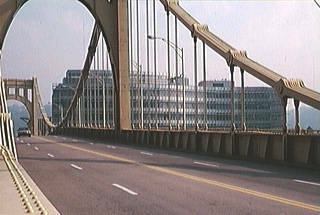 This is one of many bridges in Pittsburgh since it sits at the convergence of the Ohio, Allegheny and Monongahela Rivers. I see it's getting dark, and it's time for our tour of Pennsylvania to come to an end. We invite you all back again anytime. The welcome mat is always out in the Keystone State.